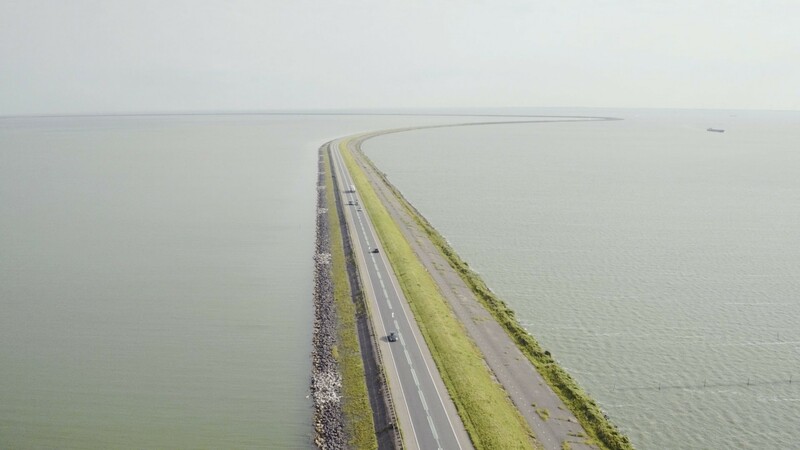 The Houtribdijk no longer meets the safety norm laid down in the Water Act. In response, Rijkswaterstaat is reinforcing this dyke between Lelystad and Enkhuizen with sand and stone. After the reinforcement, the dyke is able to withstand a severe storm that, on average, occurs once every 10,000 years. Shuttlestop Lelystad: 9 a.m., 10 a.m., 11 a.m., 12 a.m., 1 p.m., 2 p.m., 3 p.m., 4 p.m.
Shuttlestop Trintelhaven: 9.30 a.m., 10.30 a.m., 11.30 a.m., 12.30 a.m., 1.30 p.m., 2.30 p.m., 3.30 p.m., 4.30 p.m. In weekends outside these hours, on Mondays until Fridays or when you’re in a group of more than five persons, please call 0031 (0) 527 - 61 63 36 in advance, so the shuttle service can transport you. Select option 1, mention ‘Shuttle service Houtribdijk’ and your boarding location (Trintelhaven of Lelystad).